Satori symbolizes peace and spiritual awakening. This transitional Lapchĭ rug combines English florals with an open, contemporary design and harlequin border. The design, colorway and border can be customized. 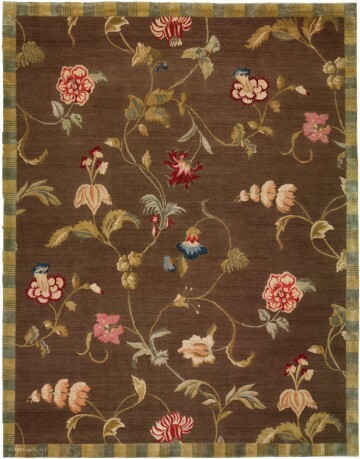 Shown in Range Brown with vibrant blue, red and yellow accents. Also available in Aegean Sea, Ivory and other colorways. Made of hand-spun wool and silk with tight 150-knot weave construction.